NEW REDUCED PRICE! HOME IS BEING SOLD TURNKEY. This beautiful 3/2 Foxglove courtyard villa is located in the Hampton Villas in Sable Chase. NO BOND Includes 2007 gas 4 seater golf cart. The exterior is block and stucco and as you enter you will see the new wide vinyl planking floors. There is no carpet in this home except the 3rd bedroom which has a closet and is a great office. There are new granite countertops throughout and the kitchen has a wonderful bar area for a buffet or just morning coffee. The laundry room is inside and there is a small freezer that stays with the home, utility tub, and shelving. 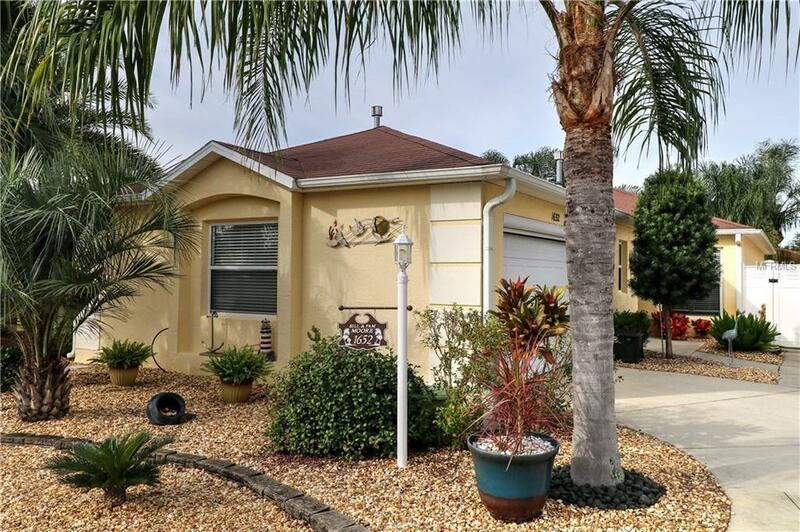 Enjoy the open concept as you look out into the enclosed Florida room and onto the courtyard that has nice landscaping. You can cook out on the side patio with the electric awning. There are even hurricane shutters! The garage has an electric screen. There are wood valances and the inside has been newly painted. Plantation shutters in the living room and kitchen, whole house water filtration and a new garbage disposal in 2015. Seller will provide a home warranty. See this beauty before its gone. Taxes 1836.26, Asst Bond $322.06, Fire 124. NO BOND.